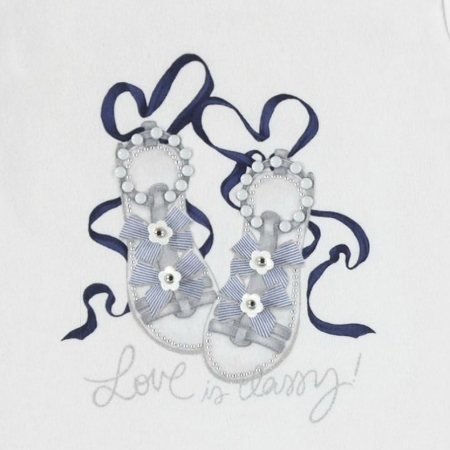 Top is white with picture of sandals decorated by bows and flowers. Navy and white stripes fully lined skirt has adjustable waist and is decorated by 2 fabric flowers. Top:93% cotton 7% elastane. Skirt: 95% cotton 5% elastane. Lining 100% cotton.